Thanks to everyone who was at track last night and I believe that set a new record of attendance. Obviously those at track know that the BBC were filming Joe coaching the session which was a surprise for everybody (so maybe that accounted for our times being a second or two faster last night!) and hopefully Joe will now be seen on the extended Northwest Tonight BBC1 on this Friday June 1st between 7 and 8.00pm (The show is a live event for the torch heading into Liverpool with other coverage of some of the Northwest’s torchbearers). If you happen to miss it and Joe is on TV I will send an i-player link out which should give you 7 days to watch it. The race is approx. 4 miles and equivalent to a run up Helsby Hill in ascent. It Will be great to see many of you there. Tea and cakes available in the community hall after the event and I think they have a kids fun run too. My running calendar might be down for a few days so I’ve attached a PDF of June’s races to keep everyone informed. If you need any more information just ask. 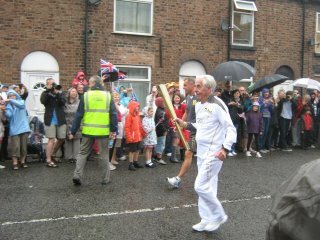 I’ll also be sending out a confirmation email regarding our Macclesfield day out for Joe’s torch run shortly. Saturday was our 2nd fell counter and a tougher race than the majority in the calendar. 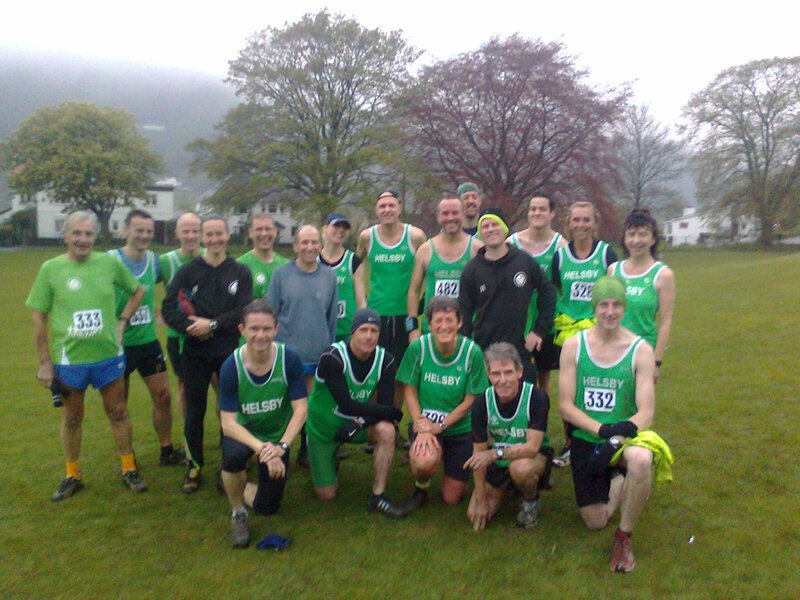 This was the Cader Idris race that starts and finishes in Dolgellau. It’s a 10.5 mile route (if you manage to always go the right way!) that starts and finishes in Dolgellau centre after reaching the summit of Cader at Penygadair, but it’s a testing route due to the steep metalled Cader road for a good 2.5km which then takes you into quite dense forest trail adjacent to Gwernan lake, which looked quite appetising in the heat (but maybe swimming part of the course wouldn’t do well for the times) and then opens up to bright sunlight and the technical ascent on the pony path. From there it is lots of hard work and hoping the Helsby hill training has paid off. Lots of photographers out on the course so there are some links to photos below which as well as promising some interesting running styles and techniques does show the terrain runners were dealing with. There were some falls from Helsby runners which thankfully were nothing too serious but shows you need to keep concentration on races such as this. There is also opportunity for route choice and time to be saved on the descent although not all of us made good choices in this instance. Definitely a race some of us have to come back too! One of the key battles of the day was coping with the heat so thanks to the man with the hosepipe on the run in at the end. Helsby had ten green vests on display and sterling work from Phil Gillard who was jet lagged from a transatlantic trip. Dave Feakes certainly enjoyed the day out and was great to see Ian, Mario, Alec and Robbie eating up the ground. Jayne Joy already with a series of wins in fell races this season had the opportunity to step up a grade to a North Wales Championship race (which meant there was a record turnout of nearly 240 people) and compete against some of the best female runners in the country. Her 5th place shows the class act she is fast becoming but also what hard work is ahead of her! Jayne was only a few minutes behind Adair at the top of Cader so all bets are now off that she might be the fastest in the club soon! Smiles could be seen on the faces of Lesley and Jackie who in such tough conditions, on the surface, appeared to be making light work of it. Maybe their legs are telling a different story now. Should I mention Jackie actually cycled to the race (but not from Helsby) to put us leisurely car drivers to shame. I’d fully recommend this race for a more experienced fell runner, as majority of people take over two hours to complete the race and it shouldn’t be taken too lightly. It is also a very atmospheric race as you start to the sound of the Batala Drummers http://www.batalabermo.org/drummers.htm and finish to a chorus of cheers from many spectators in the finishing area. Needless to say the ever vocal Joe was out on the course as was Helen and family and Bill offering jelly babies and water to the needy. Thanks guys! Was nice and sociable after the race with some food from the organisers and lots of discussion of individual races and then onto the most memorable part of the day, the first official pint of summer! There is the Mynd Mawr Hill run in Trefonen, nr Oswestry next Bank Holiday Monday so for those who want an introduction to fell running or fancy something a little more challenging than the average road run but nothing to serious in regards to fell racing then it will great to see you in this ideal friendly and low key race. I will send a reminder over the weekend. Race will be at 11.00am and is 4miles and approx. 500ft. Friday night saw our 4th road counter which was the fast Christleton 5k, fast because many of the 11 Helsby runners saw significant times fall from their 5k PB’s. 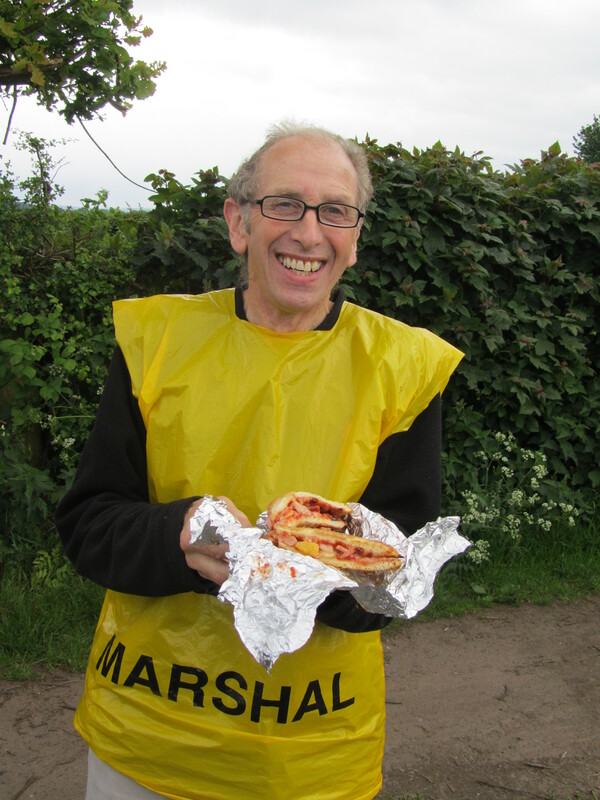 This race is now in its 25th year and historically run by Tattenhall runners. Chester Tri took over the event and organisation was as smooth as ever. A ‘nearly’ two lap loop in Christleton, Cheshire, this race sees people travelling from all over the region to compete with some tremendous local athletes. Thankfully the rain and wind stayed away for the race which meant favourable running conditions on the night. The fast leading pace seems to filter throughout the field to help pull everyone along. This meant PB’s were had by Adrian, Colin, Gareth, Adair and Jayne, with Adrian taking two minutes off his previous 5k time and Jayne possibly more. Roy Gaskill also took 75 seconds from his previous best. It was a good battle for each Helsby position, although a short distance compared to many of our races, from the effort displayed at the finishing line (and the photos) it was clear Helsby runners had been in a race and given it their all! Well done to Carol Shaw for a significant 2nd in her category too. Thanks to Joe for great vocal support on the course and Mario taking photos which we can hopefully put on the Helsby flickr site soon. Full results from the Christleton 5k Chester website. An amazing run by Jane Ashbrook saw her break the magic 40 minutes and in looking at the results for the elite women would have justified her a start in that particular race! Dave Pinnington was also out taking photos for this race again with some spectacular shots of the elite athletes. Not all of his photos uploaded yet. Sunday also saw the Comberbach 5k, which had Geoff Shaw and Carol Shaw running. Well done for the 5k double Carol. Geoff Shaw was 8th(ish) with Carol close behind. Janet Shaw was out on the course with Joe and Mario as was Chris BH supporting. When details come through I will update the blog so please take a look over there, no results online yet. Geoff was also out at the muddy Mobberly 5 mile multi-terrain race, adjacent to Manchester airport, race was last Thursday 17th May. A great run in a big and competitive field saw Janet Shaw take 1st in her category, well done Janet and Geoff Shaw was well up the field to claim 3rd in his. Bit slippy due to the mud on the route too by all accounts. 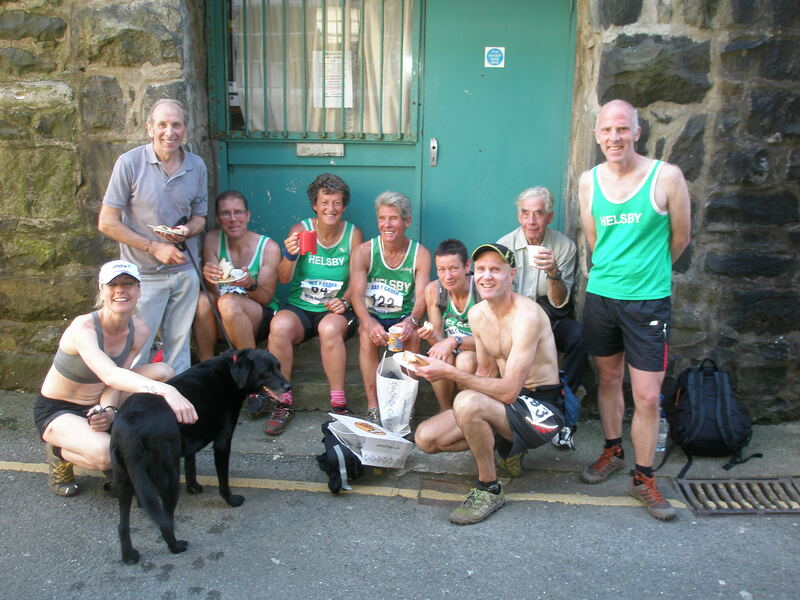 Club AGM on Wednesday after the run with a fish supper then it’s Cader Idris Fell counter 2 on Saturday 26th May. Next road counter is the Mersey Tunnel 10k Sunday 10th June. Hopefully by now you all know we are nearing a very special occasion for the club as a whole and more importantly for a very special individual in our club and community. I’m talking Joe’s Olympic torch run in Macclesfield on Thursday May 31st. This is a great honour for Joe and I know many of you are going to be sharing this moment with him. Finally we will be able to cheer Joe in for a change! It will be great to see as many people as possible support Joe on his day. From : Oxford Road (A5088) near Edward Street to Chester Road (A537) near Macclesfield Day Nursery (BEST BETWEEN THESE TWO POINTS). Please see highlighted line on pdf file. Interestingly Joe’s route goes past Beswick Street! According to route information, Joe’s Olympic Leg will be at roughly 9.50am, which hopefully gives everyone time to drive to Macclesfield on that day. Not as early a start for us as it will be for Joe but recommended leaving time from the club will be just after 7.00am. The attached map shows some options for parking but unfortunately I don’t know Macclesfield well enough to state which is the best one in particular. However, for those wishing to car share I suggest we meet at the Helsby Club to depart for 7.15am at the latest. This will give us enough time to get to Macclesfield and arrange a good location to see Joe. For those who want to make an extended day of it and not going back to work that day, we have decided it might be a nice idea to have a walk or social run near Macclesfield after Joe has finished his Olympic torch bearing duties and then after this head to a local pub for a social bite. The run will be a sociable one, some canal towpaths and up Teggs Nose and back, all welcome. If you don’t fancy a run why not go on a nice walk instead before the meal. Everybody is welcome whether you fancy a walk instead of a run and we’ll be keeping it very informal anyway. I’d suggest meeting for the walk/run at 10.30am then meet at a local pub between 12 and half past. The pub’s called the Church House. They serve food 12-2, at reasonable prices. It’s a proper pub, not a restaurant pretending to be a pub. Friendly too. Please make a note in your diaries THURSDAY MAY 31st about 9.45am and if you have any questions just ask! Quick report on last nights first fell counter of the season. Brilliant night for Helsby at Dinas Bran. Glad to see the rain did nothing to dampen the enthusiasm of the 19 (just counted from the photo) green vests on display. Two members Roy and Tom were new to the fells and what a muddy and wet introduction to hill running. This race is just under 5 miles and consists of two loops of the trails round Dinas Bran, starting with a lap round the school field then a short and sharp road section onto the Dinas Bran paths to start the first ascent. The paths were muddy and slippy in places so a remarkable achievement by Tom to get round in normal running shoes! Club talisman and coach Joe was (near enough) at the highest point of the course to cheer us on, which helps enormously at that particular section at the gate before the castle ruins. After the second lap a fast run in to the finish to wait for photos, tea and cake. Finish of the night undoubtedly goes to Phil Gillard for showing how a class fell runner can outpace a young whipper snapper who was even being paced to the finish! Made my night! New female course record from Jayne Joy, Congratulations!